Political pundits from cable news to the blogosphere had hinted at the possibility of a so-called “blue wave” splashing across the country and washing away Republican control of the legislative branches of government. They were partially correct. Democrats gained back control of the House of Representatives, but the blue wave came up short when it crashed into a Republican red wall in the Senate races. Locally, several races yielded similar scenarios, with progressive candidates making some surprising inroads into traditionally conservative seats of government — although not enough to claim a complete takeover. 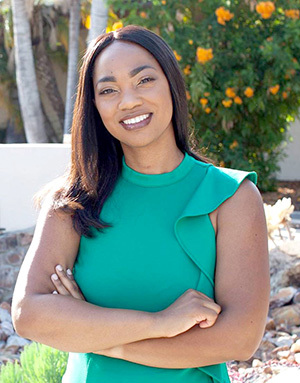 The starkest local example of these mixed results is the La Mesa City Council races where Dr. Akilah Weber won a seat, joining the only other Democrat on the council, Colin Parent. Weber came out as the top vote getter with 29.23 percent of the vote. Fellow Democrat Dave Myers, on the other hand, ended at the bottom with 22.25 percent of the vote. It was Myers’ second election defeat of the year, after losing a race for San Diego County Sheriff against incumbent Bill Gore. When Weber joins the council, she and Parent will give the La Mesa City Council a Democratic plurality because incumbent Councilmember Bill Baber, who won back his seat with 24.73 percent of the vote, will be the lone Republican after fellow Republican Guy McWhirter lost his seat with 23.8 percent of the vote. Mayor Mark Arapostathis — who ran unopposed and handily won 100 percent of the vote — and Councilmember Kristine Allesio decline to state their party preference, but have historically ran with support of local Republicans. 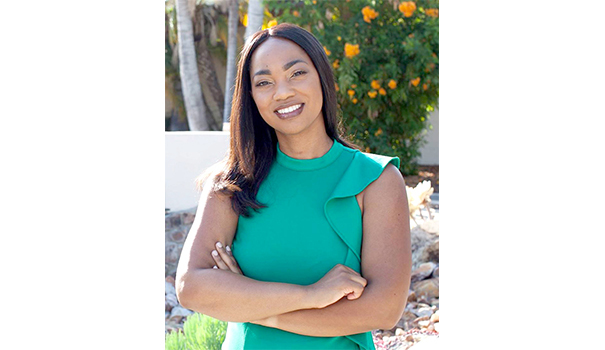 In the race for three open La Mesa-Spring Valley School District (LMSVSD) board seats, progressive challengers Rebecca McRae and Chardá Fontenot did well, taking the top spots with 21.73 and 16.05 percent of the vote, respectively. McRae and Fontenot ran on a platform of change to the right-leaning board, following comments by board president David Chong where he insulted survivors of a school shooting in Florida, and the appointment of board member Rebekah Basson, who many deemed unqualified for the position. Former LMSVSD board member Jerry Lecko also ran on the same platform of change but finished with only 12.97 percent of the vote. Joining McRae and Fontenot as new board members instead will be Megan Epperson, who ran alongside conservative candidates Steve Babbitt and Brianna Garza. Although progressives made inroads at the local government level in La Mesa, local races for state offices followed the historical precedence of voters choosing conservative candidates. In the District 71 State Assembly race, Republican Randy Voepel easily beat Democrat James Elia with 61.65 to 38.25 percent of the vote. In the race for the District 38 State Senate seat vacated by Sen. Joel Anderson, Republican and Santee City Councilmember Brian W. Jones beat out Democrat and firefighter Jeff Griffith with 54.32 to 45.68 percent of the vote. 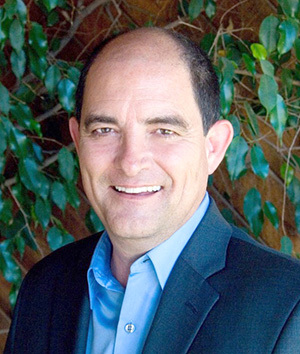 Anderson, however, lost his bid for State Board of Equalization District 4 seat to Democrat and former San Diego City Councilmember Mike Schaefer in a race that was too close to call for more than a week. Other statewide races were mostly a clean sweep for Democrats with the election of Gavin Newsom, Governor; Eleni Kounalakis, Lt. Governor; Alex Padilla, Secretary of State; Betty T. Yee, Controller; Fiona Ma, Treasurer; and Xavier Becerra, Attorney General. La Mesa’s congressional district, District 53, overwhelmingly voted to return Rep. Susan A. Davis to Washington. Davis beat Republican challenger and right-wing media personality Morgan Murtaugh with 63.38 percent of the vote. Davis, along with fellow incumbents Rep. Scott Peters and Rep. Juan Vargas, kept their seats in Congress — as did scandal-embroiled Republican Rep. Duncan Hunter. San Diego Democrats added to the national “blue wave” by taking the District 49 seat vacated by Rep. Republican Darrell Issa with a decisive win by Democrat Mike Levin over Republican Diane L. Harkey, 58.97 to 41.043 percent. Sen. Dianne Feinstein beat off an inter-party challenge from the left, with 53.37 percent of the vote over progressive challenger Kevin De Leon’s 46.63 percent. Nonpartisan races for seats in local fire, water, community college and health care districts were also on the ballot. Gloria A. Chadwick and Randy Lenac will be joining the Grossmont Healthcare District board. Dan McMillan was voted to serve a short term on the Helix Water District board. Linda Cartwright, Debbie Justeson and Brad Monroe will serve on the Grossmont-Cuyamaca College board. Theresa McKenna and Jim Ek will return to the San Miguel Fire Protection District board, although fellow incumbent William Kiel will not as he was beat out for the third seat by Michael Vacio. The only local measure on the ballot, Measure V, to authorize the city of La Mesa to tax cannabis businesses, passed with a resounding 73.29 percent of the vote. Around the county, Chula Vista and Vista also passed similar cannabis tax measures. Voter turnout in San Diego County for the midterm election was 54.3 percent, above average for midterms but below the 60 to 64 percent turnout the Registrar of Voters expected. For more results on the many other statewide ballot initiatives and races across San Diego County, visit the County Registrar of Voters website at bit.ly/2BdCLw7.